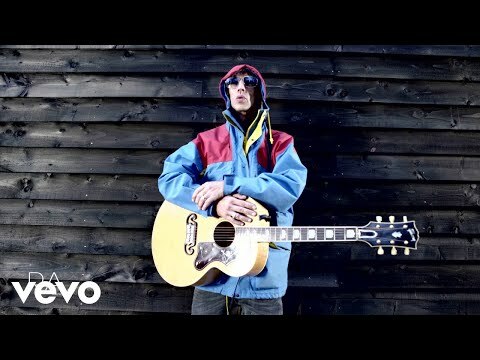 RICHARD ASHCROFT has revealed that he considered quitting music following the split of THE VERVE in 1998, but life now is "beautiful" following the birth of his new baby SONNY and the completion of his debut solo album. Ashcroft was speaking in an interview with London radio station Xfm 104.9FM, to be broadcast tomorrow afternoon (April 7) from 4pm. In the interview he says: "There was periods when I thought 'let's sack this', because I've got a beautiful wife, I've now got a beautiful child, and there is a life there, another life." However, the overriding power of Ashcroft's songs was sufficient to persuade him to go on. He continued: "I really thought about it and thought 'well I can do this'. I've got a talent, and people enjoy my songs, people love my songs, why stop? "I knew there was a great potential for me to actually enjoy this once the inner angst of the band had gone. It was up to me then, and I can't split up with myself!" The ex-The Verve vocalist goes on to talk about the demise of his old band, describing it as a "chipping down process". He said: "I use this analogy, of someone reaching over and turning on the indicator for you when you're driving, and then suddenly there's a big argument and it's over. "Those little things that start it usually aren't the main reason, it's usually a chipping down process and I just thought that I'd given so much to the band." Ashcroft makes his live debut as a solo artist at this summer's V2000 festivals. He confirmed his live set will include new material, as well as tracks that featured on The Verve's final album, 'Urban Hymns'. He hinted that 'Lucky Man', 'Sonnet', 'The Drugs Don't Work' and 'Velvet Morning' would all be aired with his new band. The full interview with Richard Ashcroft is broadcast in London on Paul Anderson's drivetime show from 4pm tomorrow (April 7), on Xfm 104.9FM.